Having participated in quests at other writing sites, I found them to be quite a lot of fun. The reward has been a significant number of reader engagements and sometimes a special notice. They really boost involvement as an author through commenting on articles, making new articles and involving additional authors in the quests. There aren't very many organized events, however. Sometimes the administrator starts one. Sometimes they are started through the forum community. They are pretty rare. Step 5: Find one that is interesting to you. Reply to it if you wish. Step 6: Select this user and go to step 2. When you have chained perhaps 10 comments together, you are done. Option for advanced authors: Make sure the visited titles are related to some of your work. If you do this quest, you will notice that the authors are likely to visit your work. You'll get comments and thumbs up. Their actions will give you reader statistics. Your comments on their work will translate into more readers. You won't win a trophy, but you'll get traffic. In the future, anyone reading an article that has your comment might also visit your portfolio. You could get more views of your work from their actions as well. This one exercise earned a number of article views that I could directly attribute to my action. Not bad less than an hour of online activities. There may even be more views in time from more people coming to my portfolio. The beauty of my personal results is that it is repeatable. I can start a new effort whenever I want to. I have done so a few times. I know that each time earns readers but it's hard to track them. If you do it too much, you will gain many views and you won't know which of your efforts earned you which results. Oh well! At least you get the viewers and maybe an increase in revenue. It works! Only those people who are registered with Infobarrel can leave comments. Signing up is easy and free. When you start to publish here, you can earn revenue based on the popularity of your articles. It is easy to do, and fun. You can write about most any topic that is of interest to you. Certain topics perform better. Those that are popular on the Internet are good writing candidates. Some, like health issues, are always popular. Think about what is important to you and consider writing about that. This platform makes it quite easy. 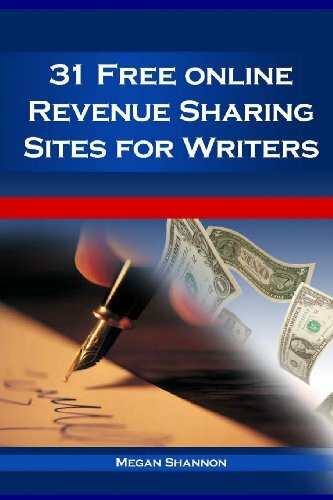 As your work gains readers, you will earn revenue. There are special contests to help boost monthly income as well. If you are located in a certain areas, you may be eligible to add automatic revenue from affiliate programs such as Amazon. Be sure to check the registration page for more information. This is a great way to provide helpful product advice to readers who can then generate affiliate commissions to you through their online buying activities. Writing for Infobarrel is a great activity in the home. Your time is your own and your writing activities can be performed on your own schedule. Once you pick a topic, write the article and publish, it is hosted on the Internet. It then begins to generate money from that point on. Unlike some web sites, live articles start earning potential income from the moment that they are published. Those titles that attract more readers are more likely to earn revenue for the author. Popular topics are obviously better in this regard. Obscure work is not likely to earn nearly as much. Articles can be as short as 400 words. Most, however, are much longer, perhaps over 1000 words. Longer ones have the benefit of providing more information to readers. This helps when they are considered for inclusion in search engine listings. When writing, think about what information people might want to find. If you topic is about bicycles, include specific terms that are directly relevant. Also, try to specialize. Don't try to cover the entire topic. Pick a small area and be very informative about that. Your title should relate to your theme. The body of text should expand on the title. Keep everything interesting to the reader. This keeps them engaged. They may leave comments and/or share the piece. Give them reasons to do so by making your work enticing to the audience. Check out the Infobarrel forum for article topic ideas. The monthly contest also contains excellent tips. "How To", "Lists" and "What to Do", are usually very good topic introductions. The monthly contest may also give additional bonuses for writing about some of these topics. 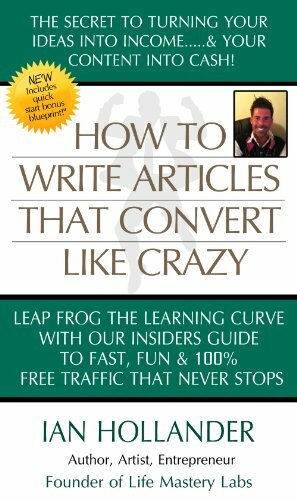 How to Write Articles That Convert Like Crazy. The Secret To Turning Your Ideas into Income.....& Your Content into CASH! Yes, sometimes we overlook comments as a way to widen our audience.